Woo-oo! 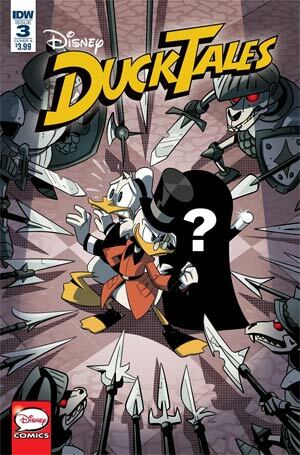 The adventures of everyone’s favorite Duck Family continue with two more stories based on the hit new Disney Channel animated series! Scrooge and company match wits with the ghost of Nostradogmus! Plus, can they solve the terrifying secret of the Pumpkin People? Kicking off like last issue, Cheating like Nostradogmus gives us the end of an adventure with Donald turned into a giant cookie? What we get is a fun, and smart adventure as the trio go through a castle of traps, haunted by the ghost of Nostradogmus! i like the methods in this story and I like the way out, it’s a fun read and true to the series! Donal gets in trouble again in Beware of the Phenomenal Pumpkin People – this time it’s quite early on, but Donald doesn’t really know it until later. The introduction of the little Panda people was good fun, and the problem they have. I liked this story, but I preferred the first one! 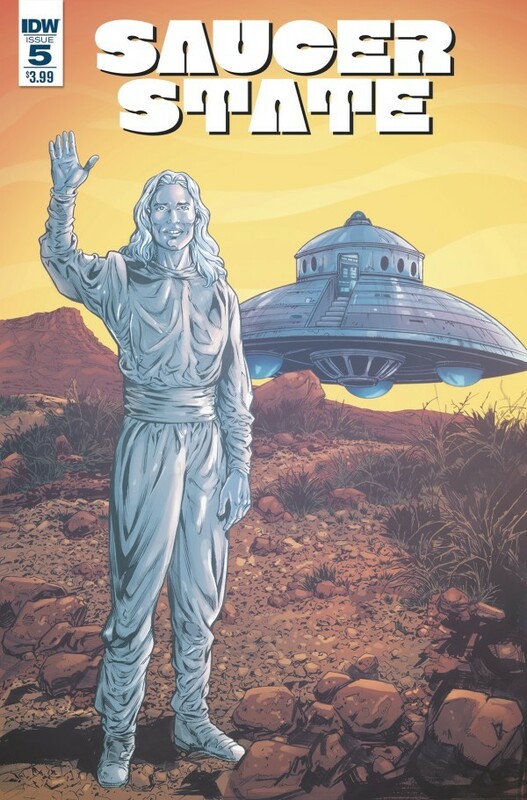 Most of this issue is made up of Michael’s adventures with the aliens/faries/etc – and it does give us a closer look into what is going on, where they are from and how this happening. I don’t get it all yet, and you’re not supposed to, but there are some semblance of answers happening here. I did wonder about the astronaut training and where it was all to go – especially with the ‘bluebird’ reference – but I really didn’t expect that final page!! This continues to be an excellent, twisty read! 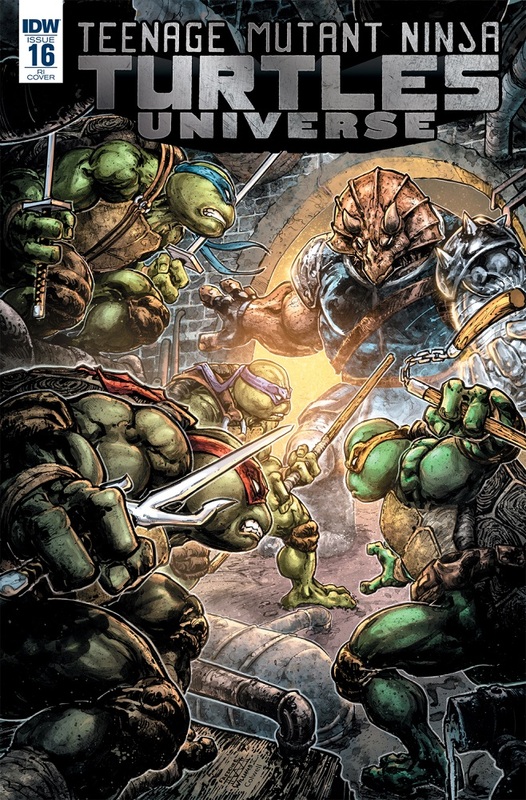 No turtles in this one, but some really good flashbacks to the time that the Triceraton’s were under the sway of Krang. It gives us a really good look into their life before and what they want out of life! The first story is pretty deep, and we know that the plot is doomed to fail, but I liked it nevertheless, and look forward to seeing how it all pans out next issue. The back up story is more light hearted, but adds some depth to the story. This whole issue links nicely to the main series and the characters, without letting too much away – a really good read!